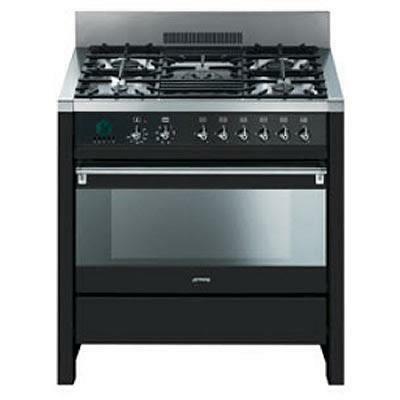 Smeg 36" freestanding dual fuel "Opera" range with 5 gas burners features, multifunction oven with 9 cooking modes, digital LED electronic clock/ program feature and triple glazed removable door. • 4" Stainless steel backsplash as standard. 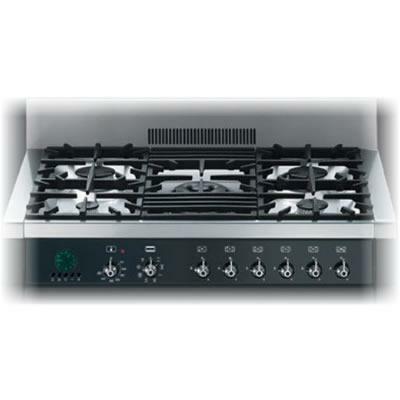 Optional Optional accessories: KIT1A1-6 29 1/2" Stainless steel backsplash, KIT2A1-2 Kick plate, KIT3-6 Height extension (to rise appliance 2"), KIT4A1 Deep kick plate (for use with KIT3-6), KD90XU Wall mounted hood, stainless steel, 90 cm (approx. 36 inch), TPKX Tepenjaki grill plate. 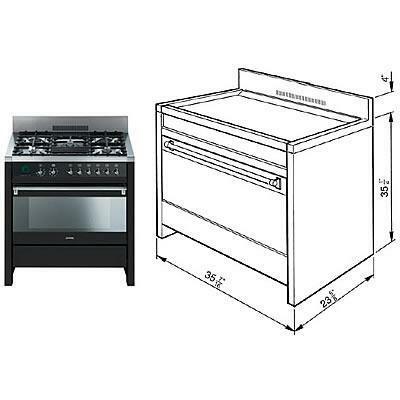 Included Included accessories: 2 baking trays, 1 wire rack, 1 rotisserie kit, 1 wok ring.